20 vanilla pods of Tahiti Tahaa Grand Cru with a length of 14cm. It is a winning vanilla from year to year thanks to the know-how of the producers and preparers Tahitian. Our vanilla Tahaa Grand Cru will be characterized by a vanilla pod very oily, oily with a beautiful dress wrinkled, with extraordinary perfume.20 vanilla pods of Tahiti Tahaa Grand Cru. The vanilla from Tahiti is a vanilla of goldsmith, c is a vanilla hybrid between the Vanilla planifolia and the Pompona. His name is Vanilla tahitensis but known under the name of vanilla from Tahiti, vanilla Tahaa, Vanilla Bora Bora or Vanilla Raiatea. Between the Different vanilla of Tahiti you have the size that will be different and the taste that is going to be different, a anise flavor prune to chocolate taste. But they will all have a great length in the mouth. This vanilla that comes to us directly from the best producers of Tahiti. The vanilla from Tahiti is ideal for the whole of the cold preparations, as the creams, yoghurts, blanks, the pastry cream, fruit salads and soups of fruit. Online sale of wonderful vanilla pods of Tahiti Tahaa Grand Cru,not expensive thanks to our economic conditioning. In the Bag of 20 pods you will find a vanilla from Tahiti of Tahaa Grand Cru Gourmet type. This vanilla is going to offer you an aroma delicately fruity and sweet with a floral extension. This is a flight of extreme flavor. The vanilla from Tahiti Tahaa c is a vanilla to taste the difference. At the opening of the bag you will meet with an explosion of flavor with in a first time, a note and anise Pruneau which will continue by a taste of vanilla very subtle typically of the vanilla Tahiti and more specifically of the vanilla from Tahaa. Its fragrance remains extremely long in the mouth. 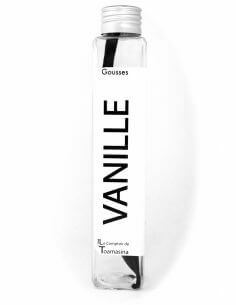 The Comptoir de Toamasina creates by Arnaud Sion in 2010 is the specialist of the vanilla from Madagascar since its inception and since June 2016, specialist of the Tahitian Vanilla and of high quality. Taste of the products of exception at the counter of Toamasina. Feature: product of exceptional quality. Vanilla pod very oily and oily, a beautiful dress wrinkled, very shiny with a perfume intoxicating. With an aroma of prunes and of star anise. To keep the vanilla pod of Tahiti Tahaa in box of 10 pods in the best conditions, the counter of Toamasina recommends that you store the extract to the shelter of the light and any impact of temperature. 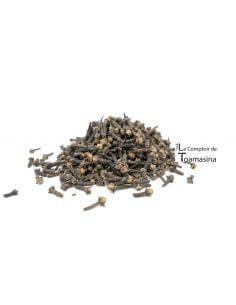 The Comptoir de Toamasina offers you a large vanilla, a vanilla of exception, a vanilla from gourmet. The vanilla pod of Tahaa. It is a vanilla pod, exception, very wide, with a length of 14cm. In the mouth it delivers in a first time a perfume of anise, prunes, to leave place in a second time with a taste of vanilla intense and very bloomed.